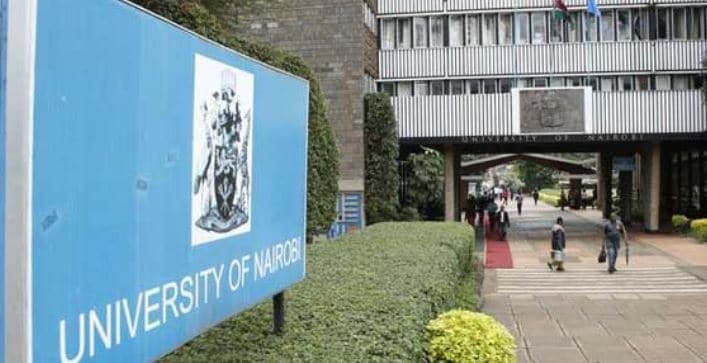 A group of University of Nairobi (UoN) students are wanted by the police after they attacked Kenyatta National Hospital (KNH) doctors on Saturday night. The 10 students failed to appear before Milimani Principal Magistrate Peter Ooko on Monday who then ordered for their arrest. Some of the attackers; William Nyongesa, George Owuor, Samwel Ogwang, Brian Otieno, Michael Otieno and Ronny Ridaya are said to have assaulted doctors Ismail Hassan, Ali Mahad and Namisi Belinda. The students had rushed two of their female colleagues to the facility following a scuffle at a Nairobi pub. While at the Casualty area, the ten rowdy comrades demanded for their friends to be treated after which, KNH Communications Director Simon Ithae says they physically assaulted patients, made away with a Ksh110,000 mobile phone, damaged one of the doctor’s spectacles worth Ksh40,000 and created disturbance. Ithae also pointed out that two computers were also destroyed during the commotion. “They were harassing everybody including the patients. The students were high and unruly, destroying equipment and broke some computers but the police arrested six of them,” Mr Ithae said. Two of the 10 students did however send an advocate who told the court that his clients were sitting for an examination. The lawyer urged the court to defer the plea taking to a later date. The court directed that the students take plea on July 23, 2018.